Snapshots are incremental backups and store only the data that was changed from the time the last snapshot was taken. Even though snapshots are saved incrementally, the snapshot deletion process is designed so that you need to retain only the most recent snapshot in order to restore the volume. Snapshots can be created from EBS volumes periodically and are point-in-time snapshots. When a snapshot is deleted only the data exclusive to that snapshot is removed. Deleting previous snapshots of a volume do not affect your ability to restore volumes from later snapshots of that volume. Active snapshots contain all of the information needed to restore your data (from the time the snapshot was taken) to a new EBS volume. Snapshot of the root device of an EBS volume used by a registered AMI can’t be deleted. AMI needs to be deregistered to be able to delete the snapshot. Snapshots are copied with S3 server-side encryption (256-bit Advanced Encryption Standard) to encrypt your data and the snapshot copy receives a snapshot ID that’s different from the original snapshot’s ID. User-defined tags are not copied from the source to the new snapshot. First Snapshot copy to another region is always a full copy, while the rest are always incremental. Encrypted snapshot can be shared with specific AWS accounts, though you cannot make it public. For others to use the snapshot, you must also share the custom CMK key used to encrypt it. Cross-account permissions may be applied to a custom key either when it is created or at a later time. Users with access can copy your snapshot and create their own EBS volumes based on your snapshot while your original snapshot remains unaffected. An existing application stores sensitive information on a non-boot Amazon EBS data volume attached to an Amazon Elastic Compute Cloud instance. Which of the following approaches would protect the sensitive data on an Amazon EBS volume? Upload your customer keys to AWS CloudHSM. Associate the Amazon EBS volume with AWS CloudHSM. Remount the Amazon EBS volume. Create and mount a new, encrypted Amazon EBS volume. Move the data to the new volume. Delete the old Amazon EBS volume. Unmount the EBS volume. Toggle the encryption attribute to True. Re-mount the Amazon EBS volume. Is it possible to access your EBS snapshots? Yes, through the Amazon S3 APIs. No, EBS snapshots cannot be accessed; they can only be used to create a new EBS volume. Which of the following approaches provides the lowest cost for Amazon Elastic Block Store snapshots while giving you the ability to fully restore data? Maintain the most current snapshot, archive the original and incremental to Amazon Glacier. Which procedure for backing up a relational database on EC2 that is using a set of RAIDed EBS volumes for storage minimizes the time during which the database cannot be written to and results in a consistent backup? How can an EBS volume that is currently attached to an EC2 instance be migrated from one Availability Zone to another? Detach the volume and attach it to another EC2 instance in the other AZ. Simply create a new volume in the other AZ and specify the original volume as the source. Detach the volume, then use the ec2-migrate-volume command to move it to another AZ. How are the EBS snapshots saved on Amazon S3? What will be the status of the snapshot until the snapshot is complete? Before I delete an EBS volume, what can I do if I want to recreate the volume later? A user is planning to schedule a backup for an EBS volume. The user wants security of the snapshot data. How can the user achieve data encryption with a snapshot? A sys admin is trying to understand EBS snapshots. Which of the below mentioned statements will not be useful to the admin to understand the concepts about a snapshot? A user is creating a snapshot of an EBS volume. Which of the below statements is incorrect in relation to the creation of an EBS snapshot? A user has created a snapshot of an EBS volume. Which of the below mentioned usage cases is not possible with respect to a snapshot? What is true of the way that encryption works with EBS? Snapshotting an encrypted volume makes an encrypted snapshot; restoring an encrypted snapshot creates an encrypted volume when specified / requested. Snapshotting an encrypted volume makes an encrypted snapshot when specified / requested; restoring an encrypted snapshot creates an encrypted volume when specified / requested. Snapshotting an encrypted volume makes an encrypted snapshot; restoring an encrypted snapshot always creates an encrypted volume. Snapshotting an encrypted volume makes an encrypted snapshot when specified / requested; restoring an encrypted snapshot always creates an encrypted volume. Why are more frequent snapshots of EBS Volumes faster? Blocks in EBS Volumes are allocated lazily, since while logically separated from other EBS Volumes, Volumes often share the same physical hardware. Snapshotting the first time forces full block range allocation, so the second snapshot doesn’t need to perform the allocation phase and is faster. The snapshots are incremental so that only the blocks on the device that have changed after your last snapshot are saved in the new snapshot. AWS provisions more disk throughput for burst capacity during snapshots if the drive has been pre-warmed by snapshotting and reading all blocks. The drive is pre-warmed, so block access is more rapid for volumes when every block on the device has already been read at least one time. Which is not a restriction on AWS EBS Snapshots? There is a very serious outage at AWS. EC2 is not affected, but your EC2 instance deployment scripts stopped working in the region with the outage. What might be the issue? The AWS Console is down, so your CLI commands do not work. AWS turns off the <code>DeployCode</code> API call when there are major outages, to protect from system floods. None of the other answers make sense. If EC2 is not affected, it must be some other issue. 4) Which procedure for backing up a relational database on EC2 that is using a set of RAIDed EBS volumes for storage minimizes the time during which the database cannot be written to and results in a consistent backup? The only point missing is flushing of the cache which is not mentioned in the Suspend disk I/O, which would create a inconsistent snapshot. Also with a RAIDed configuration you need to suspend I/O on all. Stopping an EC2 instance makes sure all the caches are flush before the instance is shutdown and also there would not be any more writes happening. Once the snapshot is taken it can be brought up, which is probably missing in the step though. To create an "application-consistent" snapshot of your RAID array, stop applications from writing to the RAID array, and flush all caches to disk. Then ensure that the associated EC2 instance is no longer writing to the RAID array by taking steps such as freezing the file system, unmounting the RAID array, or shutting down the associated EC2 instance. After completing the steps to halt all I/O, take a snapshot of each EBS volume. If you restore the EBS volumes from snapshots, be sure to stop all I/O activity, and then reverse the process you used to create the snapshots. For example, start the EC2 instance if it was shut down, mount the RAID array if it was unmounted, and start the application that was stopped. 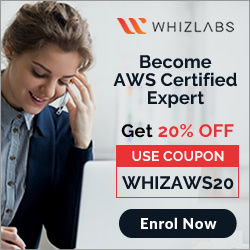 if we avoid the part in the question “minimizes the time during which the database cannot be written to ” , then definitely I choose option 2 to stop the EC2 instance which will assure results in a consistent backup. I am not disagree with you, however, if we can be sure to stop all I/O activity, then can avoid the Stop and start of the instance which will take more time. Cool :). The only issue I have in this question is its a raided configuration which would have multiple disks and even if you freeze the I/O you need to flush the cache before you take the snapshots. But yup, if the flush is taken in account, suspending I/O would surely be a better option. For question 4, How about answer A. per below notes, it looks like it will also ensure consistent and complete snapshot apart from being fast. If you can pause any file writes to the volume long enough to take a snapshot, your snapshot should be complete. However, if you can’t pause all file writes to the volume, you should unmount the volume from within the instance, issue the snapshot command, and then remount the volume to ensure a consistent and complete snapshot. You can remount and use your volume while the snapshot status is pending. A is wrong as as you need to freeze the I/O to have a consistent snapshot, which is missing. I have updated the answer as it was long pending to E. As B does not have the complete steps. I think D is quicker option than E. as we can resume I/O while the snapshot is in progress. its actually incomplete, not the fastest as well. Although it is the safest option. Put another way… When you delete a snapshot, AWS doesn’t actually delete that snapshot. It only deletes the blocks related to that snapshot that have the same block or a newer version of that block stored safely elsewhere. Hi. Just wanted to check if for question 1, (a) is a better answer than (d). As per http://docs.aws.amazon.com/AWSEC2/latest/UserGuide/EBSEncryption.html , the only way to change the encryption status of a volume is to create a snapshot and then copy the snapshot, and while copying, apply the encryption parameters. (d) unfortunately doesn’t state how the encryption of the disk is obtained, it just says to restore to a new encrypted volume, which doesn’t seem possible as per the document pasted above. Also CloudHSM does not seamlessly integrate with EBS Volumes. Sorry, my mistake. I should have said (b) looks more appropriate for Question 1? As per http://docs.aws.amazon.com/AWSEC2/latest/UserGuide/EBSEncryption.html it is possible to copy the data from an unencrypted volume to an encrypted one. When you have access to both an encrypted and unencrypted volume, you can freely transfer data between them. EC2 carries out the encryption or decryption operations transparently. 1. Create Snapshot 2. Encrypt the Snapshot 3. Create volume from the encrypted snapshot 4. mount it. #B is correct as it does allow copy between unencrypted and encrypted volumes. There is not mention that the volume was created from snapshot so it will be blank. There is no performance issue on a newly created EBS volumes. For new volumes it is not needed anymore as the implementation was update AWS. This is an old question, for first time access to block of storage, it must be either wiped clean (for new volumes) or instantiated from its snapshot (for restored volumes) before the block was accessed. I’m taking the SysOps exam at the end of this week. I’ve observed that may question available on you site as well as on the internet are not up to date with latest exam. Do you have any information regarding latest exam set? I would be very grateful! 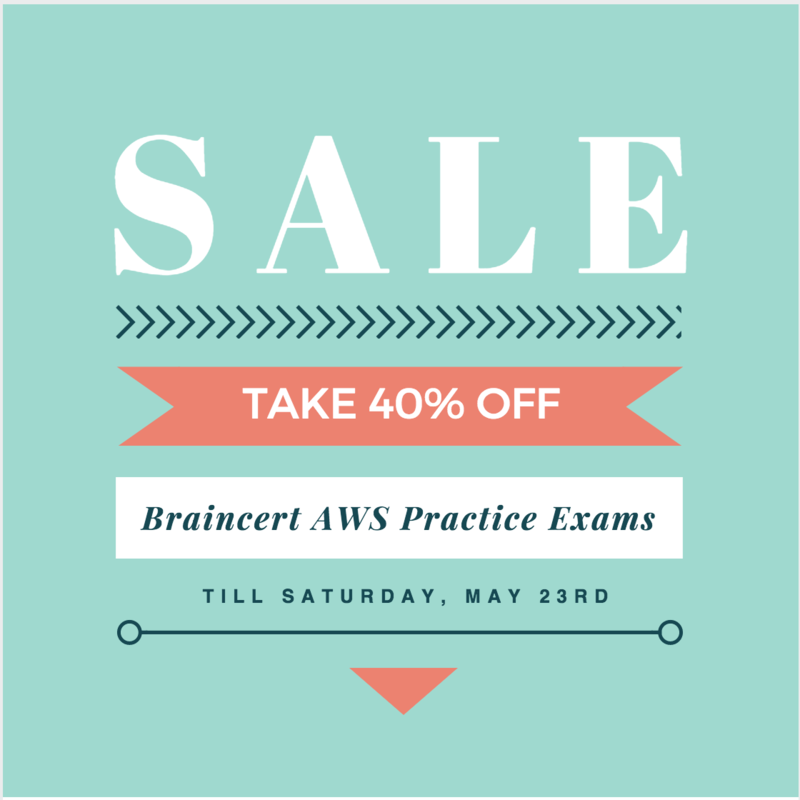 Actually the exam is not updated to keep pace with the developments AWS is doing. Questions and Answers still date 2015. Q20.Which is not a restriction on AWS EBS Snapshots? b)You cannot share a snapshot containing an AWS Access Key ID or AWS Secret Access Key. c)You cannot share unencrypted snapshots. d)Snapshot restorations are restricted to the region in which the snapshots are created. Option C should be given as either You can share unencrypted snapshots or You cannot share encrypted snapshots. Please let me know your views on it. Thanks Bhuvana, have corrected the #C answer option. 12.A user is planning to schedule a backup for an EBS volume. The user wants security of the snapshot data. How can the user achieve data encryption with a snapshot? Shouldn’t the answer be option B : While creating a snapshot select the snapshot with encryption? Create a snapshot of your unencrypted EBS volume. This snapshot is also unencrypted. If you want the backups to be encrypted, you need to take backups from encrypted volumes which are then by default encrypted. This is regarding Q#16 & 17 where the user creates a snapshot of a EBS Volume. For both Qs there is an option which states “Launch a new instance”. My doubt: What does this option mean? We need to first launch an instance, create a new volume from the snapshot, detach the existing volume from the newly launched instance, attach the volume (created from the snapshot) with the newly launched instance. Method 2: Create an AMI from the snapshot and use that AMI to launch a new instance. Are these the only methods available to launch a new instance from a snapshot? Or am I missing something basic? Please help me understand. The option is to create a snapshot/backup of the EBS volume. It is like creating a backup so that you can restore is a different volume and attach it to an instance. Snapshoting helps to recreate the volume in different AZ or Region, which is not possible with Volumes as they are AZ scoped. You cannot launch and instance from snapshot, it has to be restored as a volume and then attached to an instance. One Question – When a snapshot is in progress, can you detach the EBS volume and attach it to a different instance? It should be possible, cause snapshot is taken of the volume. Also, the point-in-time snapshot is created immediately, but its creation time in S3 takes time. So it is very much possible. Snapshots occur asynchronously; the point-in-time snapshot is created immediately, but the status of the snapshot is pending until the snapshot is complete (when all of the modified blocks have been transferred to Amazon S3), which can take several hours for large initial snapshots or subsequent snapshots where many blocks have changed. While it is completing, an in-progress snapshot is not affected by ongoing reads and writes to the volume. Question 3 -Which of the following approaches provides the lowest cost for Amazon elastic block store snapshots while giving you the ability to fully restore data? I should the answer should be A. After writing data to an EBS volume, you can periodically create a snapshot of the volume to use as a baseline for new volumes or for data backup. If you make periodic snapshots of a volume, the snapshots are incremental which means only the blocks on the device that have changed after your last snapshot are saved in the new snapshot. Even though snapshots are saved incrementally, the snapshot deletion process is designed such that you need to retain only the most recent snapshot in order to restore the volume. Single latest snapshot is fine as AWS maintains the link to original full snapshot as well, which you do not have to do. Q2. Is it possible to access your EBS snapshots? Q: Will I be able to access my snapshots using the regular Amazon S3 API? No, snapshots are only available through the Amazon EC2 API. You can share an encrypted snapshot with specific AWS accounts, though you cannot make it public. For others to use the snapshot, you must also share the custom CMK key used to encrypt it. Cross-account permissions may be applied to a custom key either when it is created or at a later time. Users with access can copy your snapshot and create their own EBS volumes based on your snapshot while your original snapshot remains unaffected. Thanks Shankar, updated the same. B is not a complete answer though.